Spear's, the wealth management and luxury lifestyle title, is to appear on retail newsstands. Issue 48 will be available for £5 on 17 December in selected stores in central London and the West End. The magazine will feature a Gulliver’s Travels-themed cover, celebrating the 300th anniversary of the end of Gulliver’s journey on 5 December 1715. William Cash, the founder and editor in chief of Spear's, said: "From the news kiosk in Knightsbridge to the airport, the new retail positioning of Spear’s will mean that we have a much more visible presence as the UK’s most respected business and high-net-worth lifestyle title for its affluent and super-affluent readership. 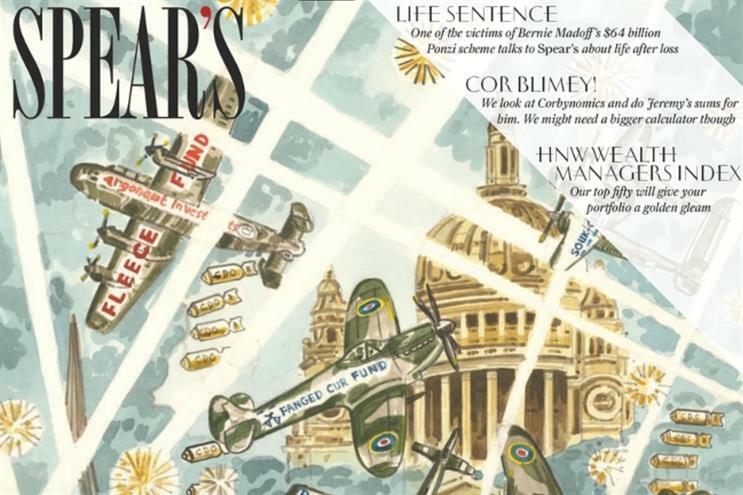 "Thanks to our eye-catching covers by our celebrated cover artist Adam Dant, we expect Spear’s to stand out at the newsstand."